HCM CITY — Vietjet will launch a three-day promotion on Wednesday with 700,000 promotional tickets priced from only zero đồng available at www.vietjetair.com. The tickets, which will avail between noon and 2pm, will be for all international routes to Tokyo and Osaka (Japan); Seoul, Busan and Daegu (South Korea); Hong Kong; Kaohsiung, Taipei, Taichung and Tainan (Taiwan); Singapore; Bangkok, Phuket and Chiang Mai (Thailand); Kuala Lumpur (Malaysia); Yangon (Myanmar) and Siem Reap (Cambodia) from November 1, 2018 to June 30, 2019. Flights for the Hà Nội – Osaka route will run from November 8, 2018 to March 30, 2019; the HCM City – Osaka route is from December 14, 2018 to March 30, 2019; the Hà Nội – Tokyo route is from January 11 to March 30, 2019; the Hà Nội – Taichung route is from November 1, 2018 to March 30, 2019; and the Phú Quốc – Seoul route is from December 22, 2018 to March 30, 2019. These discounted airfares will also be applied for domestic routes on ThaiVietjet – a joint venture between Vietjet and Thai airline Kan Air – from November 1, 2018 to March 30, 2019. 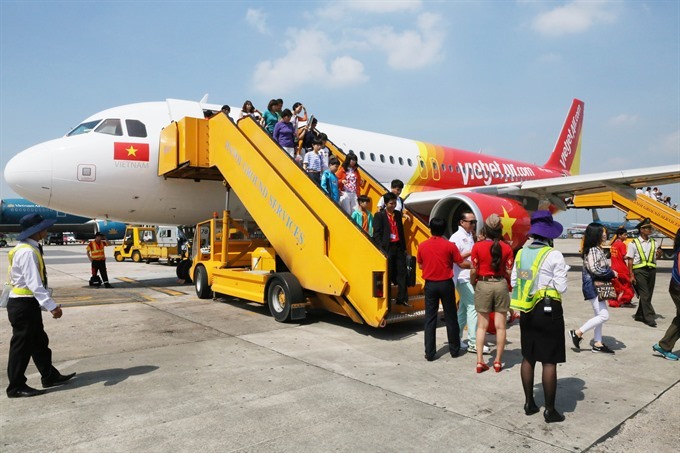 As a consumer airline, Vietjet has opened many new routes, added more aircraft, invested in modern technology and offered more add-on products and services to serve the demands of customers.